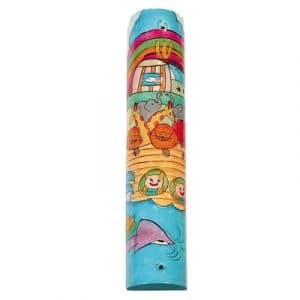 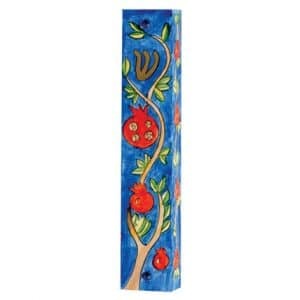 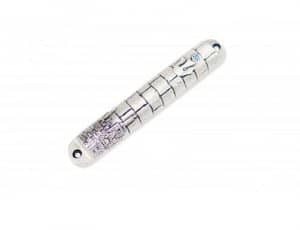 Bless your home with this modern minimalist Mezuzah design. 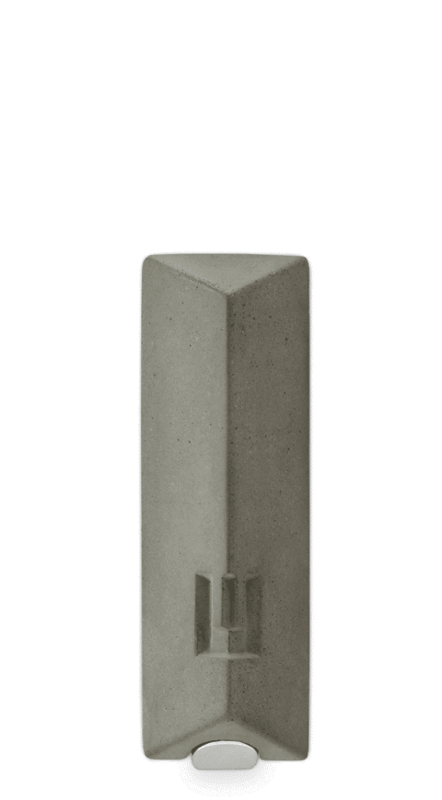 The elongated geometric "ש" (Shin) letter is filled with a colored resin, stands in contrast to the matte tactile quality of the concrete. 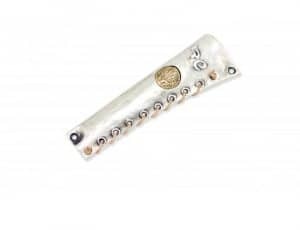 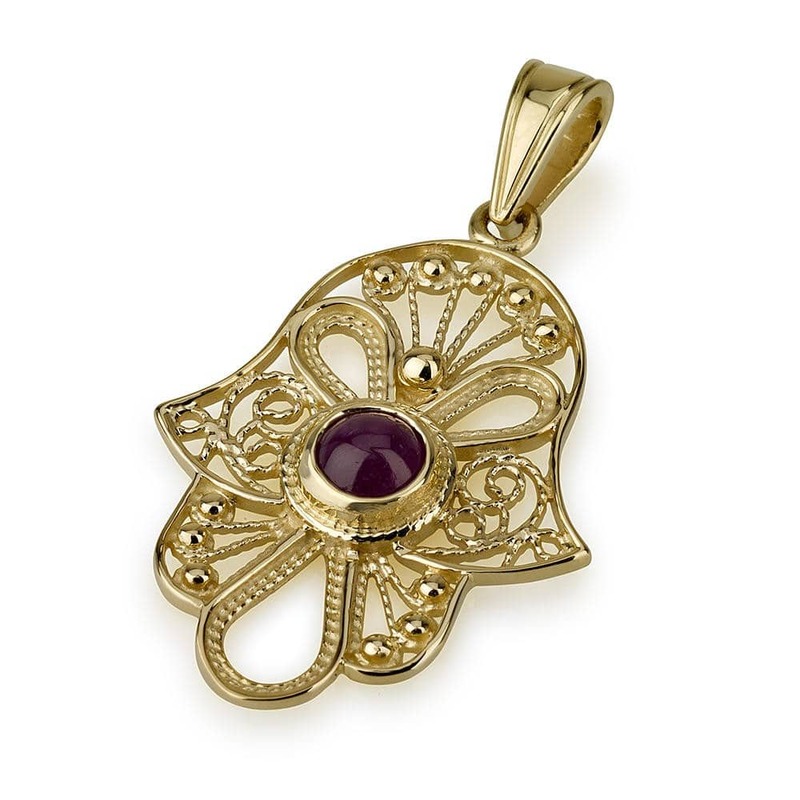 This clean minimalist design make your home blessing/home decor item combines between religious artefacts and contemporary design. 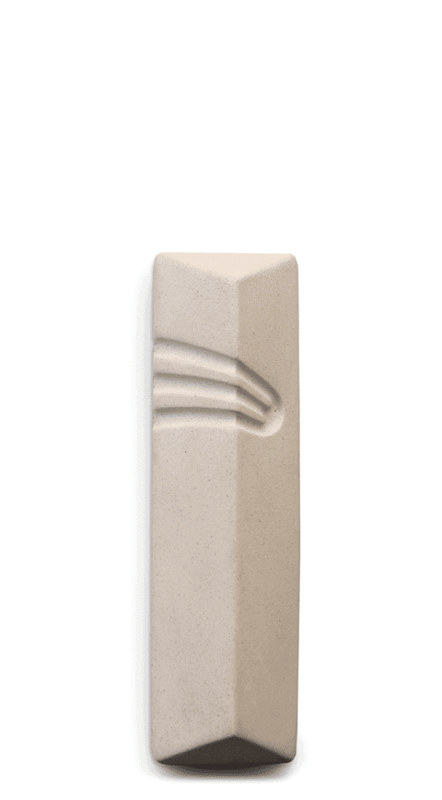 Bless your home with this modern minimalist Mezuzah design. 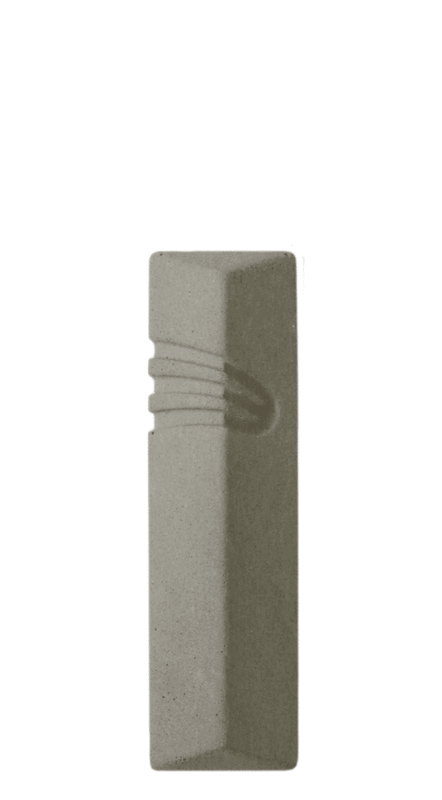 The elongated geometric “ש” (Shin) letter is filled with a colored resin, stands in contrast to the matte tactile quality of the concrete. 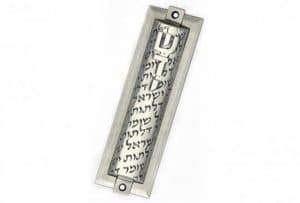 This clean minimalist design make your home blessing/home decor item combines between religious artefacts and contemporary design. 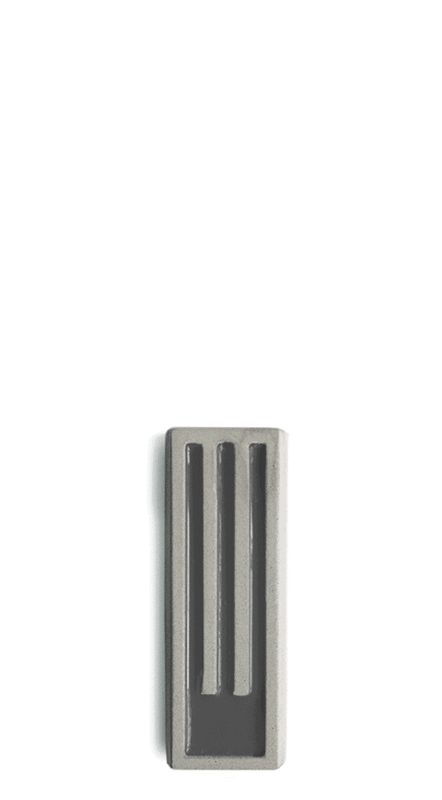 In this modern minimalist Mezuzah design, the elongated geometric “ש” (Shin) letter filled with a colored resin, stands in contrast to the matte tactile quality of the concrete. 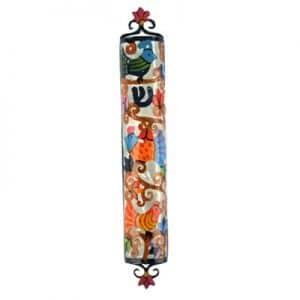 The clean minimalist design make a Judaica / home decor item that combines between religious artifacts and contemporary design. 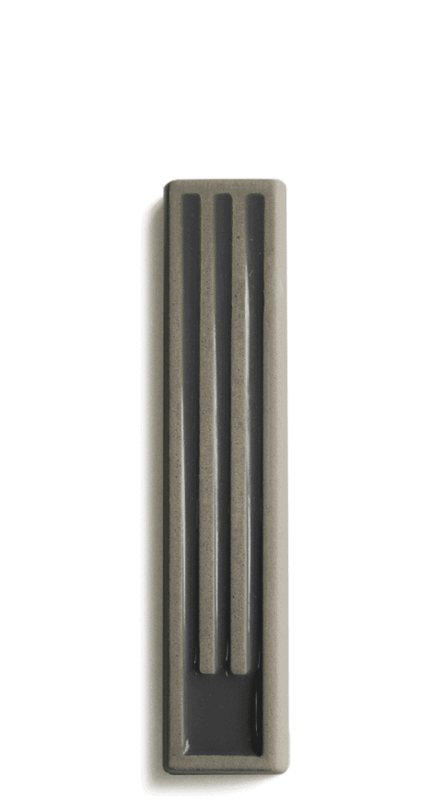 Materials: Gray Concrete Epoxy, 3M Double Sided Tape.